ExplorOz.com is now in it's 18th year of operation, having started in the year 2000 in the era before Wifi, before Facebook, and even before Google. It's been a long ride! What constantly amazes us is the number of people that joined in our early years and are still with us today. In the same breath, we've lost a few along the way including staff members Linda, Glenn, Julianna, Jackie, Michael, Damien, Adele. Many of you will have either spoken to at least one of them on the phone or communicated via email over the years. Today in 2018, our own branded mapping and GPS navigation products are our core business and we no longer sell sell other publishers/manufacturers products. We've recently updated our About Us page, which also explains the difference between being a site Visitor or Member. It is with a heavy heart that we advise the ExplorOz community of the passing of popular and long term member, Val Wiseman, who passed away on Saturday after a 12 month long battle with cancer. We had the good fortune to spend 2 weeks with her on a trip a few years ago and she really was an inspirational woman. Both wise, practical and compassionate we are grateful to have had the chance to meet her (and husband John) and very thankful for her contributions to ExplorOz. It was on that trip that Val and David conceived the ExplorOz Wildflower database and she worked with David for months over email to devise the database structures and then once David completed it, she spent many many hours posting the content – a very large and laborious task but it’s done. Botany was her hobby and passion and it is a valuable legacy that she has left us with and I feel it is important that we try to ensure that it can be nurtured. Please visit the Wildflower section on ExplorOz. You can read Val's own stories in the "Blooming News" section that describe the intentions she had with this system and other inspiring ideas. This is an Australia-wide database of native flowering plants and is a practical and useful resource to assist you in identifying plants you see in on your travels. With Val no longer available as chief botanist the task of administration falls to only 2 other administrators so please, if you would like to be involved, just make contact with us for more information. Val. found great joy in the beauty of nature, and inspired those around her with her knowledge and passion. She will long be remembered for her great service to the natural environment of the ACT and southeast NSW, as well as her many contributions to the Hall and Wallaroo communities, to whom she gave her wisdom, energy and humour gladly. She is survived by her loving husband of 53 years, John; along with her children Rob, Andrew and Peter; and her grandchildren, Katrina, Briana and Darcy. Her funeral will be held at William Cole Funerals, 60 Nettlefold Street, Belconnen, on Monday 5 March 2018 at 9:30 am, followed by her burial at Hall Village cemetery. Val. requested an informal service, so no suits or ties please. As a passionate botanist and gardener, Val. asked for no commercial cut flowers, but bunches from the garden or the bush would be most welcome. We have also started a Forum post to acknowledge both Val and John's association and contribution to ExporOz. They are very well known and respected members who contributed amazingly through their blogs, responses and of course the Wildflower section. Please take this opportunity to show your appreciation and support, which we hope will be of some value to John and their family. The Road Conditions section on ExplorOz is another area where significant Member input has created a valuable tool for the ExplorOz Community. Travellers are encouraged to post comments on road conditions as often as possible into the specific sections to assist with reporting accuracy, as the admins can only enter "official" statements as released by road authorities. Please note the following notice just received regarding resealing of a large number of roads in Western Qld. 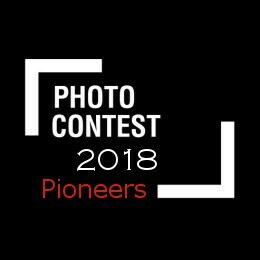 Last chance to get your photo submissions in for the Pioneers theme photo comp. Simply submit your entries as photos in a blog - your blog can have any title you wish but to ensure your entry is valid for judging you must select the tag "Photo Comp 2018" which is an option you can select when you save the blog - look for this in the ExplorOz Tag section. To inspire you, here are the entries received so far - Photo Comp 2018 Tagged Blogs. Entries close Wed 7th March, 2018. Information about the National Gathering here. The new release of EOTopo 2018 comes in 3 options to suit the differing range of devices/software that people might own. To help you decide which option is right for you, please refer to the EOTopo page on our website here. We understand that there might seem to be a lot of information to absorb and that is purely because there are many different systems in use that all require different setups. Raster maps are not the only option for offline mapping so for this reason, we have just updated details on this page to help you find all the answers you might have. We suggest you click on each of the grey headings to ensure you have all the necessary facts before you purchase. If you're especially keen to know exactly what has changed in the 2018 release, simply click on the heading EOTopo History, and EOTopo Updates further down that page. And finally, if you're one of those people that would like the maps, but find it all too hard, then we recommend you consider using our app ExplorOz Traveller. Most people find this a much easier method of getting all the mapping downloaded and is the most user-friendly option for use on-the-road that includes many other nice-to-have features that you'll find yourself wondering how you lived without them! 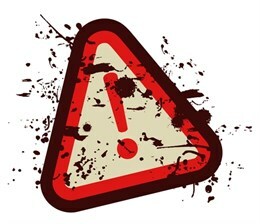 Please note on 22nd February we released another update. The latest version is now V3.1.0. Some stores did not release the update until yesterday (Windows). Version 3.1.0 contains a new feature, which gives you the option to show Altitude on the map screen in the Speed/Heading box. Go to Settings, Map Screen Settings and locate the option to Show Altitude. Note that you can also select the option to Show Position. Based on your settings this box will appear at the bottom of the map window. Note that using GPS lock this should not conflict with your current position cursor as the map will toggle in moving map mode to keep your position in the centre of the map window. Other important updates are also included. Please note that ExplorOz Traveller includes an on-board Help/Instructions manual you can read at anytime. Look for the blue button near the bottom of the opening home screen in the app. Other information is located on the ExplorOz Traveller page on our website. A useful Video Tutorial called "Traveller App Overview + Demo "Making Treks" can be viewed at the bottom of the "Functions & Features" section. We also recommend that you refer to the Help & FAQ section, and Version & Update History further down this page, which will probably cover all of your questions. The current prize on offer in our regular Redarc power prize giveaway is a next generation 12v, 25 amp, in-vehicle battery charger - the BCDC1223D (RRP $680). This prize will be drawn on 31/3/2018 so there's still time to get in with a chance.